Degeneration of the thoracic spine refers to changes in the discs between vertebrae that separate and cushion the bone. The discs lose their elasticity and thickness, and while the thoracic spine is the least likely segment of the spine to suffer such changes, it does occur. If the discs become displaced, or herniated, they can impinge on surrounding structures and cause uncomfortable symptoms. The most commonly involved discs are the ones located between the T9 and T10 vertebrae, the T10 and T11 vertebrae, and the T11 and T12 vertebrae. Pain is one of the primary symptoms of degenerative thoracic spine disease. The pain is usually located in the upper back, corresponding to the location of the thoracic spine, or can be felt along the ribs if a nerve exiting the spinal cord is compressed by the disc. If the disc presses on the spinal cord itself, the discomfort can also cause gait and posture changes. Motor deficits like weakness, especially in the lower extremities, are also reported in thoracic spine degeneration. 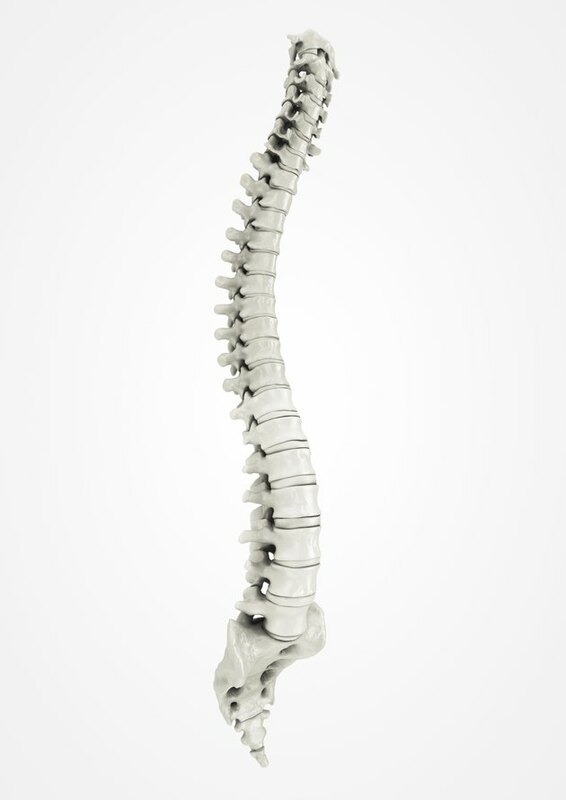 These are a result of the disc impinging on, and possibly causing damage to, the motor nerves that leave the spine. Problems with sensory perception can also show up as a result of nerve compression by a herniated disc. Decreases in sensation, numbness or tingling sensations have all been reported by people with thoracic spine degeneration. These are comparatively more prominent in the lower extremities. Autonomic function disruption refers to the function of structures such as the bowel or bladder, or sexual functions that are controlled by a part of the nervous system known as the autonomic system. They typically get affected when the disc is directly impinging on the spinal cord itself, and are usually indications for more serious treatment, such as surgery.